AIM To compare neonatal intensive care unit policies towards parents’ visiting, information, and participation in ethical decisions across eight European countries. METHODS One hundred and twenty three units, selected by random or exhaustive sampling, were recruited, with an overall response rate of 87%. RESULTS Proportions of units allowing unrestricted parental visiting ranged from 11% in Spain to 100% in Great Britain, Luxembourg and Sweden, and those explicitly involving parents in decisions from 19% in Italy to 89% in Great Britain. Policies concerning information also varied. CONCLUSIONS These variations cannot be explained by differences in unit characteristics, such as level, size, and availability of resources. As the importance of parental participation in the care of their babies is increasingly being recognised, these findings have implications for neonatal intensive care organisation and policy. Despite the large body of published papers emphasising this family based approach, empirical data on the actual organisation and policies of neonatal intensive care units are scanty, and we do not know whether, and to what extent, parental involvement has really become an established part of modern neonatal intensive care. Based on a large representative sample of neonatal units from eight European countries, this study aimed to compare existing policies towards parental visiting, communication, and involvement in decisions across different cultures, and to explore other factors which might influence such policies. The study is part of a larger project on ethical decision-making in neonatal intensive care (EURONIC), whose overall design has been described in detail elsewhere.18 Eight European countries took part in the project: France, Germany, Great Britain, Italy, Luxembourg, the Netherlands, Spain and Sweden. In each of them all the neonatal intensive care units satisfying four inclusion criteria were identified: care of very low birthweight (VLBW) < 1500 g infants on a routine basis (at least 20 admissions a year); capacity for prolonged mechanical ventilation; paediatrician or neonatologist (in Sweden, a nurse neonatologist) on duty in the hospital on a 24 hour basis; no transfers to other units for medical reasons. In Luxembourg, the Netherlands, and Sweden all such units were invited to take part in the study. In France, Great Britain, and Spain a random sample was selected after stratification by geographical area, and in Italy and Germany by area and unit level. The latter was defined by the number of intensive care cots in Italy (<5, ⩾5) and by University affiliation (yes/no) in Germany. Only units with more than five cots were sampled in Great Britain; Northern Ireland and Wales were not included. Data collection took place in 1996. The characteristics, organisation, workload, staffing levels and policies of the recruited units were surveyed using a structured questionnaire which was completed by the unit coordinator for the project. Data were analysed using the SPSS19 and the STATA20 packages. The random sampling scheme was taken into account in the analysis by assigning each observation (each unit) a weight equal to the inverse of the probability of being selected within a given country and stratum.21 Results are therefore weighted to reflect the total number of eligible units in each country. A “complexity score” was created to represent units’ technical capabilities. This score included unit variables (number of mechanical ventilators; availability of diagnostic devices, such as portablex-ray or ultrasound equipment on a 24 hour basis, and of sophisticated procedures such as high frequency ventilation and extra corporeal membrane oxygenation) and hospital variables—computed tomography; magnetic resonance imaging; paediatric, cardiac and neurosurgery services. The score was computed as the mean of the standardised values of the selected variables, and shows good correlation with other unit characteristics such as level (second or third) and extent of research activity. Weighted proportions and 95% confidence intervals (CI) were computed for qualitative data,20 and weighted quartiles for quantitative variables. Confidence intervals are missing when there is no variability across units from the same country (weighted proportion either 0 or 100%). Logistic modelling was used to control the differences between countries for the effect of potential confounding variables. Three binary outcome measures were therefore defined: parental visiting policy (unrestricted or otherwise); presence during medical examinations (“regularly” allowed or otherwise); and involvement in decision making regarding their babies (“explicit” or otherwise). The following variables were considered, on an “a priori” basis, as potential confounders: number of intensive care cots; equipment complexity score; average nurse:patient ratio in intensive care on weekdays; availability of intensive care for older children (over 2 years of age); extent of teaching and research activities carried out in the unit. Finally, cluster analysis was used to identify, in a multivariate model, where all the selected variables are considered on the same level, main patterns of care across countries. This type of analysis produces hierarchical “clusters” of items based on the measure of their similarity and dissimilarity.19 For the purpose of this study, similarity/dissimilarity of the participating countries (“items”) was measured on the basis of the variables related to the various aspects of unit policies towards parents: unrestricted visiting; regularly allowed presence during medical examinations and procedures; characteristics of the communication (early, transmitted by the physician in charge of the baby, to both parents together, and at any available opportunity in case of routine day to day information, or by appointment, if related to diagnosis or prognosis), and explicit involvement in ethical decisions. The resultant “clustering” of countries sharing similar policies therefore gives an overall picture of the main patterns of parent–infant care across Europe. Results are presented separately for each country. Former West and East Germany are treated separately, as different sampling fractions were used. Response rates are presented in table 1 and key unit characteristics in table 2. Out of 410 units meeting the inclusion criteria in the participating countries, 142 were invited to join the study; 123 accepted, with an overall response rate of 87% (range 41–100%). In every country but Germany and Sweden, most units are attached to a maternity ward (table 2); the median number of births in the unit catchment areas (year of reference: 1995) ranges from 3000 in Sweden to 30000 in the Netherlands, reflecting both the number of births in the country and the degree of regionalisation of perinatal care. The median number of admissions of VLBW babies ranges from 21 to 118 a year. The high number of admissions in the Netherlands is consistent with its high number of births and intensive care cots per unit, pointing to a strictly centralised system of neonatal care; a similar situation also exists in Great Britain and France. In Germany the data are somewhat more puzzling: a relatively low number of births in unit catchment areas, an intermediate number of admissions, but a high number of cots. The fact that most German units receive their babies from other hospitals, coupled with ambiguities in the definition of “catchment area” may partially explain these findings. Median equipment complexity scores range from 1.35 in Sweden to 2.44 in the Netherlands. Sweden has the highest nurse:patient ratio in intensive care (0.75), while at the other extreme are France and Italy (0.33). In Great Britain and the Netherlands all units are organised as purely “neonatal,” while in the other countries some of them may offer intensive care also to older children. Most of the Dutch, Spanish, and French units report doing “a lot” of teaching, while proportions of those declaring “a lot” of research are, with the exception of the Netherlands, quite low in every country. The proportion of units with policies allowing unrestricted visiting by parents, grandparents, and siblings is shown in table 3. Parents are admitted without limitations of any sort in Great Britain, Luxembourg, and Sweden; in Italy and Spain fewer than 20% of units allow unrestricted visiting, while France, Germany, and the Netherlands range between these extremes. Policies regarding grandparents and siblings are considerably more stringent. However, the same patterns of international differences emerge, with Great Britain and Sweden being the most liberal. Visiting by grandparents seems to be less well tolerated than visiting by siblings. Almost all units in Great Britain, the Netherlands and Sweden, as well as the Luxembourg unit, “regularly” allow parents to be present during the doctor’s examinations and routine medical procedures, while policies are less liberal when emergency, often more invasive, manoeuvres are involved (table 4). Again Italy, Spain, France and Germany seem to follow a different policy, with the first two countries showing a particularly conservative approach. International differences in parental visiting (whether unrestricted or otherwise) and presence during medical examinations (“regularly” allowed or otherwise) do not change when potential confounders are controlled for in the logistic regression model. Parental visiting also seems to be independently associated with the equipment complexity score and the amount of teaching. When all the other variables—country included—are in the model, units with a higher complexity (adjusted OR 0.13, 95% CI 0.04–0.40) and which do “a lot” of teaching (adjusted OR 0.37, 95% CI 0.15–0.90) are less likely to allow free parental visiting. Parental presence during medical examinations seems to be better tolerated in units offering intensive care to older children (adjusted OR 3.5, 95% CI 1–13). In most of the French, German, Dutch and Spanish units the day to day information about the baby’s condition is “usually” given to parents by the physician in charge of the patient (table 5). In Italy, a substantial percentage of units have of policy of leaving this task to the head of the unit (23%) or to any doctor available (43%). In Sweden, Great Britain, and, to a lesser extent, the Netherlands and France, nurses seem to have a role in this task. In all countries the communication of prognosis and/or severe diagnosis is less likely to be left to “any doctor available” and tends more often to become the responsibility of the physician in charge or, in Italy and Germany especially, the head of the unit. As to “when” communication takes place, the routine information is generally given to parents “at any available opportunity” (data not shown). There are, however, exceptions: a large proportion of units in Spain (50%, 95% CI 32–68) and in Italy (40%, 95% CI 24–60) restrict even this kind of routine communication to “a special scheduled time” only. In contrast, the information on diagnosis or prognosis is less likely to be released at any opportunity and is more often communicated by appointment. In a large proportion of units in Sweden, the Netherlands, and Great Britain the information regarding severely sick babies is transmitted to parents “as soon as it becomes known to the staff” (table 6), while in France, West Germany, and Italy the prevailing policy is to wait until a clear picture emerges. Many units in East Germany, Italy, and Spain report having no established policy in this respect. When a severe diagnosis or prognosis has to be communicated, 88% of units in the whole sample (range 56–100%) by policy make an effort to meet both parents together (data not shown); but 5% (95% CI 1–25) of the Italian and as many as 39% (23–58) of the Spanish units follow the policy of informing fathers first. When such decisions have to be made, most units in each country take into account the parents’ views, either directly involving them in the decision, or indirectly “sounding out” their opinion (table 7). Great Britain is evidently the country where parents are more often explicitly involved in decision-making, by openly participating (78% of units) or even by assuming full responsibility for the choice (11%). In contrast, none of the French units reports open involvement of parents in decision-making, although parental views are always “indirectly sounded out and taken into account.” Ten per cent of Italian and 6% of Spanish units have no policy regarding this issue. Country remains an independent predictor of type of parental involvement when potential confounders are controlled for in the logistic analysis. Extent of teaching activity is also significant, with units which reported “a lot” of teaching being more likely to explicitly involve parents in decision-making (OR 3.2, 95% CI 1.1–9.2). 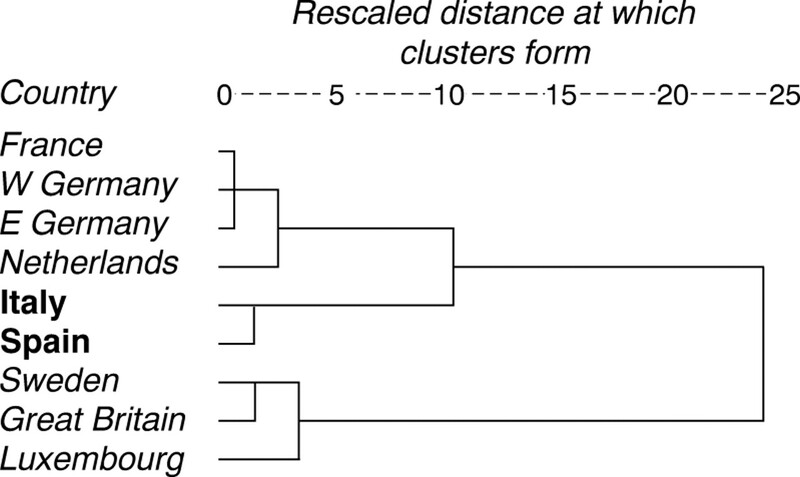 Figure 1 gives a pictorial representation (dendrogram) of the results of the cluster analysis. When similarities and differences of the participating countries are measured in terms of simultaneously considering all the variables related to visiting, information, and involvement in decision making, groups or “clusters” of countries sharing similar policies start to emerge, growing larger and larger according to the degree of dissimilarity which is accepted. As can be seen by reading the figure from left to right, France and Germany group together almost immediately, and are later joined by the Netherlands. Similar behaviour is displayed by Italy and Spain on one side, and by Sweden, Great Britain, and Luxembourg on the other. Three main clusters of countries may therefore be recognised, broadly corresponding from a geographical perspective to Northern, Central, and Southern Mediterranean Europe, and characterised by three different overall approaches towards the presence of parents in neonatal intensive care units. The results of this study show the presence of wide variations in neonatal intensive care unit policies across countries. Such variations broadly correspond to a North–South contrast, with units from northern countries being more receptive to parental involvement than the southern Mediterranean ones, and with Germany, France, and the Netherlands occupying an intermediate position. Unrestricted visiting seems to be an established right for parents in Great Britain, Sweden, and Luxembourg. This pattern extends to more liberal policies towards parental participation in the care of their children, and to a careful handling of the transmission of information to parents—released at any available opportunity and by any doctor when it concerns daily routine issues, while severe diagnosis or prognosis are communicated by appointment, to both parents together, by the head of the unit or the physician in charge of the baby. At the other extreme are Italy and Spain, where most units still restrict parental visiting and involvement in the care of their children, and the conservative, hierarchical policies towards parents and the staff themselves are vividly reflected in the privileged position of the head of the unit in the transmission of information, and the still prevalent practice of communicating important news to fathers first. Previous studies providing comparable information across different countries and cultures are few in number, and date back to some years ago.22-26 In a convenience sample of 38 units from 11 European countries,2 Reid found that nine, all from Mediterranean countries (France, Greece, Italy and Portugal), operated restrictions on parental visiting, a finding consistent with our results. While it is reassuring that no unit in Reid’s sample, and only one in our study, totally exclude parents from visiting, the impact of the restrictions still in force in many countries should not be underestimated. Many authors have highlighted the problems encountered by parents who want to visit: presence of other children at home; distance from the unit; financial costs; mother’s health; father’s work demands; and their own psychological difficulties in coping with the sometimes unexpected birth of a premature baby and the frightening environment of a high-tech unit.2 27 28 In contrast, no ill effects have been documented from parents’ free access to the units,29 and this finding alone makes the raising of “unnecessary barriers between parents and their own children” clearly unwarranted.9 Much more controversial is the issue of parents’ participation in “ethical” decisions, when the foregoing of life-sustaining treatment is considered because of the severity of prognosis. However, the law sets limits on parental authority which cannot, in any case, jeopardise the baby. Paediatricians often claim for themselves the role of child advocate, and the growing acceptance of the patient’s “best interest” standard as a guiding criterion for decision-making leaves little consideration for the interest of other family members.22 Consequently, as Wolder Levin emphasises in her thorough review of the international publications on neonatal selective non-treatment,24 the role of the physician is crucial in every country; that of the parents is much more variable. The results of our study show that in every participating country parents’ views are taken into account when non-treatment decisions for their children are under consideration. There are, however, degrees in such involvement: in some units this is explicit, while in others it is mediated by staff interpretation of what parents’ opinions are. Great Britain on one side, and France on the other, offer the best representation of these different attitudes. In our study, however, five of the 10 Dutch units did not label their policy as direct involvement of parents, suggesting that even in this country a certain degree of ambiguity exists in the extent of autonomy attributed to parents. While the rigidity of a self-administered questionnaire might not allow for the detection of subtle differences, the study carried out in the 1980s, through in-depth interviews and participant observation, by Guillemin and Holmstrom,22 found that in the Netherlands parents were not asked directly to make a decision to withdraw treatment; rather, they were kept informed of their infant’s poor prognosis and helped to accept the limitation of intensive care. Although more recent studies34 35 certainly indicate an evolution towards greater recognition of parental autonomy, the same decision-making procedure described in such papers “suggests a more limited parental role”36 than that stated by the authors. Indeed, the framing of ethical decisions as medical decisions, for which parental agreement is sought only after a consensus has been reached among the staff, might in some units still be closer to the process of “producing assent” described by Anspach37 than to a real sharing of responsibility for decision-making. In contrast, no ambiguities seem to exist in France, where all units report a policy of indirectly sounding out parental opinions which are “taken into account” by the staff member who makes the decision. In-depth interviews, carried out as part of this same project in two French units, provide insights into staff beliefs and values which underlie this policy38: perceived altered psychological status of parents because of the baby’s illness, their lack of medical knowledge, and most of all a desire to spare them the burden of such difficult choices and protect them from the feelings of guilt for having wanted and decided the death of their child. According to Anspach, postdecisional regret is more likely to arise when parents are not given sufficient information, or enough time to evaluate the possible alternatives.37 From this perspective the practices prevailing in some countries, of communicating a severe diagnosis or prognosis to the father first, or withholding information “until a clear picture of the baby’s condition is reached,” may contribute to creating a “temporal gap” 41 between the understanding of the staff and that of the parents which further undermines the role of the latter in decision-making. Given the international approach and the high number of recruited units, this study is, to our knowledge, the largest ever conducted on neonatal intensive care unit policies towards parental visiting and role in the care of their babies. Even more important, the random selection of units and the excellent response rates guarantee the representativeness of results. In Great Britain, where the response rate was comparatively low, the consistencies between our findings and the results of other studies26 33 provide reassurance that non-responses were due to organisational factors rather than to self-selection related to the specific themes of the project. While parents’ rights to visit and be involved in their babies’ care are nowadays taken for granted, our study shows that this is not always the case. Policies do vary widely across countries, and variations cannot be explained by differences in the unit level, size, resources, or extent of teaching and research activities: they are probably, in essence, culturally determined. Clearly, our study has highlighted a discrepancy between parents’ requests and practices still prevailing in some countries, and this finding has relevance in terms of neonatal intensive care organisation and policy setting. The experience of many of the units taking part in this study shows that a more open, liberal attitude towards the involvement of parents is not an impossible goal. The results presented in this paper are part of the European Concerted Action project EURONIC on “Parents’ information and ethical decision-making in neonatal intensive care units: staff attitudes and opinions” (Contract n. BMH1-CT93–1242). We are very grateful to the units that participated in the study. We also thank Michael Hills for advice on statistical analysis, and Colin Partridge for his careful review of a previous version of this paper. (1960) Maternal reactions to premature birth viewed as an acute emotional disorder. Am J Orthopsychiatry 30:539–552. (1976) Grief response of parents after referral of the critically ill newborn to a regional center. N Engl J Med 294:975–978. (1990) Mothers of very low birthweight babies: how do they adjust? J Adv Nurs 15:6–11. (1989) Is my child normal yet? Correlates of vulnerability. Pediatrics 83:355–363. (1977) Caring for parents of high-risk infants. Med J Aust 2:534–537. (1982) Interventions in the premature nursery: impact on development. Pediatr Clin North Am 29:1263–1273. (1986) Family support system in newborn medicine: does it work? Follow-up study of infants at risk. J Pediatr 108:1025–1030. (1994) Family-based intervention improves maternal psychological well-being and feeding interaction of preterm infants. Pediatrics 93:241–246. (1978) Possible effects of early separation on later development of children- a review. in Separation and special-care baby units. Clinics in Developmental Medicine. eds Brimblecombe FSW, Richards MPM, Roberton NRC (The Lavenham Press LTD. Lavenham, Suffolk), pp 33–53. (1997) Breastfeeding and neonatal intensive care unit policies. Int J Epidemiol 26:1401–1402. (1988) Skin-to-skin contact for very low birth weight infants and their mothers. Arch Dis Child 63:1377–1380. (1996) Méthode et soins kangourou. Arch Pédiatr 3:1262–1269. (1984) Down’s syndrome: is dissatisfaction with disclosure of diagnosis inevitable? Dev Med Child Neurol 26:33–39. (1986) First diagnosis of severe mental handicap: characteristics of unsatisfactory encounters between doctors and parents. Soc Sci Med 22:53–62. (1991) Informational needs of parents of sick neonates. Pediatrics 88:512–518. (1993) Are there good ways to give ‘bad news’? Pediatrics 91:578–582. (1992) Facing tragic decisions with parents in the neonatal intensive care unit: clinical perspectives. Pediatrics 89:119–122. (1997) The EURONIC project: a European concerted action on information to parents and ethical decision-making in neonatal intensive care. Paediatr Perinat Epidemiol 11:461–474. (1994) SPSS Professional Statistics 6.1. (SPSS Inc. Chicago, USA). (1998) Two-way contingency tables for survey or clustered data. Stata Technical Bulletin 45:33–49. (1984) The ideas of sampling. (Charles Griffin and Company Ltd, High Wycombe). (1986) Mixed blessings. Intensive care for newborns. (Oxford University Press, Oxford). (1986) Treating Baby Doe: the ethics of uncertainty. Hastings Centre Report 16:34–42. (1990) International perspectives on treatment choices in neonatal intensive care units. Soc Sci Med 30:901–912. (1993) Hungarian paediatricians’ attitudes regarding the treatment and non treatment of defective newborns: a comparative study. Bioethics 7:41–56. (1994) Variations in family visiting policies in neonatal intensive care units in eleven EC countries. Pediatr Perinat Epidemiol 8:41–52. (1985) Factors affecting visitation of sick newborns. Clin Pediatr 24:259–262. (1993) Parental costs of neonatal visiting. Arch Dis Child 68:597–599. (1981) Parents’ reactions to unrestricted parental contact with infants in the intensive care nursery. Med J Aust 1:294–296. McHaffie H, Cuttini M, Brölz-Voit G, et al. Withholding/withdrawing treatment from neonates: legislation and official guidelines across Europe. J Med Ethics(in press)..
(1995) Enough is enough-when to stop neonatal care. Current Paediatrics 5:53–58. (1996) Life, death and decisions. Doctors and nurses reflect on neonatal practice. (Hochland & Hochland Limited, Chester). (1996) Foregoing intensive care treatment in newborn infants with extremely poor prognoses. A study in four neonatal intensive care units in the Netherlands. J Pediatr 129:661–666. (1998) The role of parents in end-of-life decisions in neonatology: physicians’ views and practices. Pediatrics 101:413–418. (1996) End-of-life decisions in Dutch neonatal intensive care units. J Pediatr 129:627–630. (1993) Deciding who lives. Fateful choices in the intensive-care nursery. (University of California Press, Berkeley). (1997) Les prises de décisions éthiques en réanimation néonatale. Enquête auprés des soignants de deux centres français. Arch Pédiatr 4:662–670. (1978) Grief response of parents to neonatal death and parent participation in deciding care. Pediatrics 62:171–177. (1985) Follow-up of families of neonates in whom life support was withdrawn. Clin Pediatr 24:14–19. (1992) Transparency in neonatal intensive care. Hastings Centre Report 22:18–25. (1992) Communicating medical bad news: parents’ experiences and preferences. J Pediatr 121:539–546. (1993) The principles for family-centered neonatal care. Pediatrics 92:643–649. It is commonplace in Britain for parents to be part of a neonatal unit. An agreement was reached about 40 years ago which stipulated that parents could be resident when their children were admitted to hospital. This came about through the influential films of James and Joyce Robertson which showed the distress of children when they were separated from their parents. When neonatal units were set up in the 1960s and 1970s, it was just accepted that parents would be welcome at any time. They have increasingly taken part in the decisions about their baby’s care, and expect to be kept regularly informed about progress, particularly when adverse events occur. This practice is reflected in the European survey, although it is disappointing that the British response was so low. The survey shows that there are some remarkable differences in European practice. Neonatal units in northern Europe generally allow the parents to visit whenever they want, expect to be questioned at any time about the baby’s progress, and are more inclined to involve parents in decision-making. Units in southern Europe, on the other hand, often restrict visiting hours, expect only the most senior doctor to give out information—and by pre-arrangement—and often make decisions for the parents. These differences warrant closer inspection. As so often, on seeing the results of a study, I long to know more, particularly what the parents think. As the authors point out, there is published evidence that parents welcome the opportunity to participate in their baby’s care. What we don’t know, is whether the parents who had only restricted access to their baby’s care, share these views. They probably do want a greater measure of involvement, but they may not realise that it would be possible, if only they were to ask. The experience of paediatricians and parents in Britain is that education—of parents and professionals—is important to effect change. The authors report that in some units the father is given information in preference to the mother. The usual practice in Britain is to talk to both parents together whenever possible. I would like to know if the mothers really believed that it was a cultural imperative for their husbands to be informed first, or whether they regarded their exclusion as an insult. It is a pleasure to involve parents as partners in care, but it is not always easy. When a baby spends many months on a neonatal unit, the parents sometimes become critical of some members of staff. This can be disruptive. It is important to provide proper training and appropriate support for staff, so that they are adequately prepared, and also have a place to air their grievances. Parents also need a great deal of support during the distressing days of intensive care. This is generally provided by the nurses and clinicians on the unit, but other professionals, such as social workers and psychologists, have much to offer.